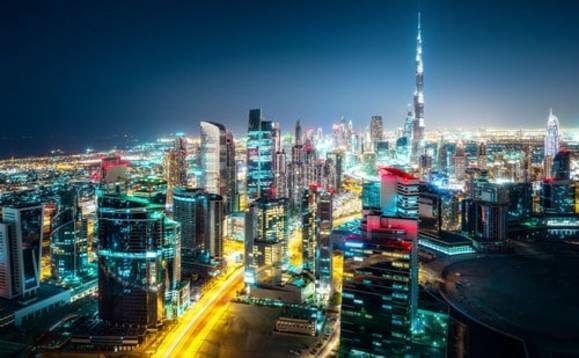 The UAE government has announced it is granting long-term visas for the top 100 start-ups as the kingdom envisions becoming one of the most innovative and dynamic countriesin the near future. According to the Forum, 19 of the top 100 are already based in the UAE. Also on the list are Egypt's mass-transit platform Swvl, Palestinian FinTech company Receet and Moroccan environment app Clean City. The Arab start-ups were selected at the World Economic Forum on the Middle East and North Africa, held in Jordan, which started on Saturday. The UAE is a global incubator for emerging innovations. Our innovation-friendly legislative structure is essential for start-up companies"
Among the selected start-ups are the world's first halal investment platform (Wahed, UAE); a biotech company that uses camel milk to develop antibodies (MonoJo, Jordan); a platform to meet fellow football players and book pitches (Malaem, Bahrain); a production company shaping its country's cultural landscape (Akkasa, Oman); the first coding booth camps for the Arab world (Coded, Kuwait); and a company conducting a range of mapping including that of cultural heritage sites with autonomous drones (FalconViz, Saudi Arabia). "The UAE is a global incubator for emerging innovations. Our innovation-friendly legislative structure is essential for start-up companies," said bin Touq. "This collaboration with the World Economic Forum to grant long-term visas to the top 100 Arab start-ups reflects our commitment to facilitate businesses, create an attractive and encouraging environment for growth, and underline the UAE's position as a global destination for talents," he added. Foreign investment remained stable in 2018 with 30% from outside the Arab world, while fintech took over e-commerce as the top industry as a result of an 8%t increase in deals since 2017. "The Arab world will need its private sector to address youth unemployment, the current skills gap for the Fourth Industrial Revolution and the inclusion of women in the workforce," said Mirek Dusek, deputy head of the Centre for Geopolitical and Regional Affairs, member of the executive committee, World Economic Forum. "Start-ups, and the entrepreneurs building them, are key to a strategic public-private dialogue on these issues and to creating corresponding new opportunities in society," Dusek added. As part of the UAE's diversification plans, efforts have been under way to develop newer technologies such as artificial intelligence and blockchain. The UAE can become "a lab for the world" but for this to happen it also has to be the easiest environment for testing new things, Belhoul said. The purpose of the initiative is to attract and retain talent that will help build an innovative ecosystem in the country, Belhoul added.